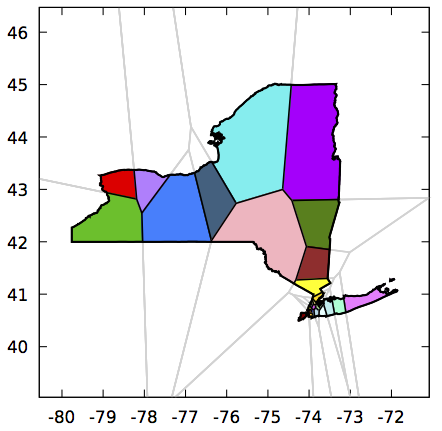 We propose a method for redistricting, decomposing a geographical area into subareas, called districts, so that the populations of the districts are as close as possible and the districts are compact and contiguous. 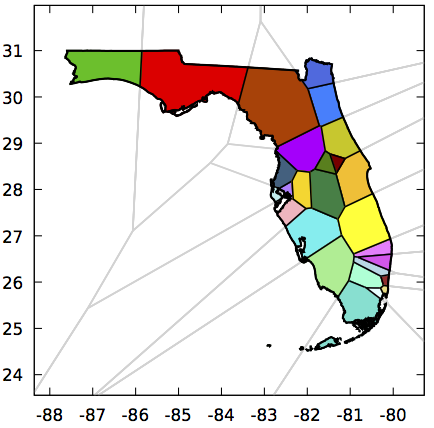 Each district is the intersection of a polygon with the geographical area. The polygons are convex and the average number of sides per polygon is less than six. 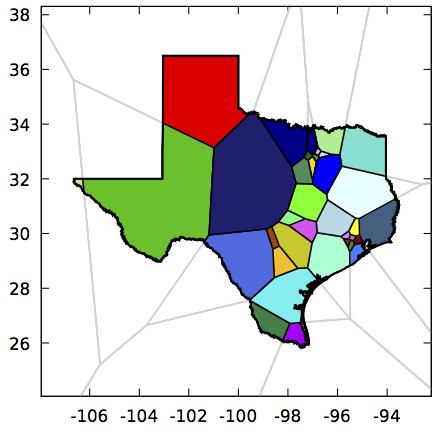 The polygons tend to be quite compact. 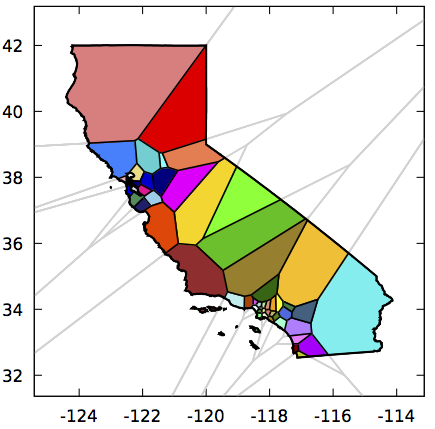 With each polygon is associated a center. 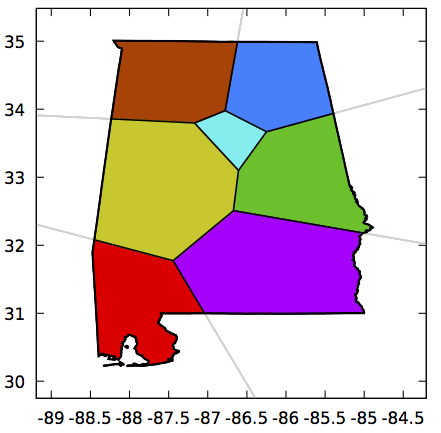 The center is the centroid of the locations of the residents associated with the polygon. 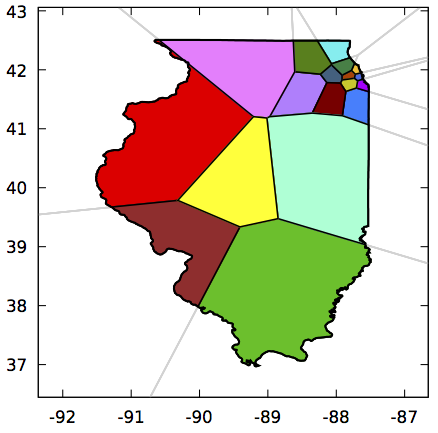 The algorithm can be viewed as a heuristic for finding centers and a balanced assignment of residents to centers so as to minimize the sum of squared distances of residents to centers; hence the solution can be said to have low dispersion.